Engines employed in aircraft require some of the most comprehensive pre-production analysis process of any vehicle on the road, ocean, or in the sky. Routine examination and maintenance are absolutely vital to maintain aircraft engine integrity – as such, these components are checked frequently so that engine failure is not of a considerable risk. 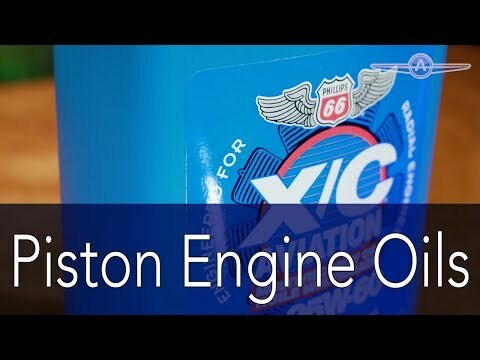 When shopping for Aviation Piston engine oils, it is best to understand the details of what renders one aviation lubricant applicable, and another potentially destructive to engine components. Engines in aircraft are generally air-cooled – for this reason, they are not built for the same oils employed in automotive engines. Additive packages in lubricants for aircraft are considerably different, as well. Aircraft engines do not handle detergent additives well – additionally, full-synthetic formulations are more or less non-existent in terms of aviation oil. As such, the oils employed in aircraft engines wear out fairly quickly – and in either case, it is best to change frequently following regular analysis of the lubricant.